When I looked out the window, I couldn't believe how sunny and gorgeous it was outside. I knew it was the perfect spring day to break out my new maxi dress! Topped off with this cute tribal shrug from Rose Wholesale and some signature accessories, I walked around in utter confidence. This is one of those outfits, you know? Its the kind where you know it emanates "you" in every aspect, whether it be who you are now or who you want to be. Who cares if everyone gives you an odd look like you're the neighborhood's hobo lady? Just give me a rickety old cart to wheel around and I'll rock it as an accessory! In the past week or so, my attention has drifted from clothing and shoes to a new line of products I've been neglecting...and that is beauty products! Before I started stalking fashion blogs, I used to watch beauty vloggers on Youtube and was amazed by how these girls presented themselves. They were so flawless! But they broke down their routines and were fearless in showing the world how they looked underneath all their makeup. That really impressed me, and while I drifted on to pursue personal style, I realize just how much I've been skimping on my beauty routine. How I get ready for the day? Wash my face and swipe on some liquid eyeliner. Done! While it's simple and low maintenance, I've become enamoured by all the beauty products that get raved upon by both fashion bloggers and beauty vloggers alike. Perhaps it's time I take a gander at this. While it's embarrassing how ill-stocked I am (um...I just bought my first foundation and concealer yesterday), in the past week I've amped up my lipstick collection and invested in some pretty Sonia Kashuk brushes. Now to learn how to apply all of this gunk! I'm sure this may be rather humorous, but I seriously feel so lost as to how to pick out a good product from the aisles containing hundreds of brands promising the best results. HELP! What are some essentials that have worked for you? Oh hey there, you can kinda see the little bit of makeup I was rocking! Haha, I found a deep rusty orange lipstick on clearance at Target, called Abstract Orange, and I absolutely love it. It shows up as a bronzy coral color on my lips, and it's just lovely. Eeek, I want this outfit! Everything about it is perfect. And I must say, I'm super envious of this warm weather you're talking about! Send some my way! So cute! I can't wait until it's finally warm enough to wear spring dresses. It feels like it's never going to come in Chicago. 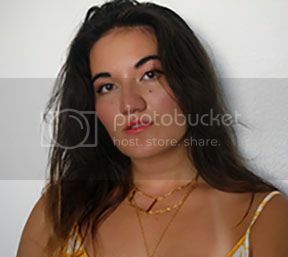 Ive said it before and Il say it again, I really like how varied and interesting your style is, its never specific - preppy, boho, rock, its all in one! Love the cardi, so cozy and cute and the dress is so pretty. You are luckily naturally stunning so you don't even makeup Linda! I love this dress and you paired it with the perfect booties. About the beauty products, I don't wear make up very often except for mascara and lipstick, but I do have a collection of make-up for special occasions and most of it is Mac. They have amazing products. L'oreal also have some fine products. Linda, I absolutely LOVE this outfit. That dress is amazing. I love the hem detail. Love your jewelry. YouTube beauty bloggers are amazing. They are serious about makeup too. I keep mine simple. I'm a lipstick and blush girl. LOL Ask me to contour and I'm lost. That orange looks amazing on you. Love that color! Makeup is all about experimenting. Have fun with it. hahah Linda! I am so with you on not being a makeup person--I swipe on some mascara and maybe a little under the eye makeup and I'm done! Lately I've been into lipstick, but yeah, I don't own foundation because it's a foreign thing to me! But hey, you don't even wear anything but eyeliner?! GIRL you have a flawless face. Shine on, my little star. I adore this cardigan ever since I saw it on Facebook! I was wondering when an outfit post with it would be up. Black and white forever, yum yum! your style is always so perfect Linda! loving the cardi and the hat together. and haha yes I am quite lost in those makeup aisles as well..I seriously can't buy anything without having to google it first xD! this is definitely one of my fav outfit of yours! loveeeee that you have those adorable tights hidden underneath the maxi dress! :) i actually started with beauty youtuber too! I've never really been too into makeup, except for a good lipstick, but i loveeee watching beauty vloggers! Im so inlove with your outfit! Every pieces of it falls right together, the cardigan the skirt is just so perfect! Very beautiful look my dear! this outfit is gorgeous, that shrug is so perfect! and haha, i am the same way with makeup, i always get stuck when i go out to buy products and there are so many! or most of the time we dont have the same stuff thats in the US that all my fav beauty youtubers use. You are gorgeous my friend! Don't wear makeup if ya don't need it, man. Oh that dress is just stunnninggg! I've got to say you look great in those pieces, I fall in love with your original cardigan immediately! Have a relaxing and unwinding weekend hun! Oh I love your hat! I wish I could pull off hats! Your skin is flawless I can't believe you don't put care into it (can I have your genes) but im just as lost looking for beauty products. I just go into Mac and ask one of the artists to go ahead as show me what I need. How cute are you!? Love your booties! Adorable blog! my all-time favourite makeup item is Clinique's high impact mascara. and why do I love it so much? I can wash it off with just warm water and don't have to use makeup removers at all. and it looks natural too (heavy makeup is not my thing, you know). anyway, your outfit. I think the whole thing is very "you" and that dress indeed is amazing! Lpve your dress, hat and attitude! You look pretty and are I rocking this look. Your make up looks perfect, subtle color and some drama to your eyes, so no worries there. That sweater is gorgeous too! I love your outfit, very boho chic! What a cute dress and love the hat with it! Your hair looks gorgeous in the braid, also! amazing look, honey! And your braid is really gorgeous! MAC lipsticks are the best. Well worth the investment. For eyeshadows, I really like Coastal Scents. Super affordable and so much variety. And Urban Decay has incredible colors, but of course they're more pricey. I am loving this tribal look. The cardigan is so cute. 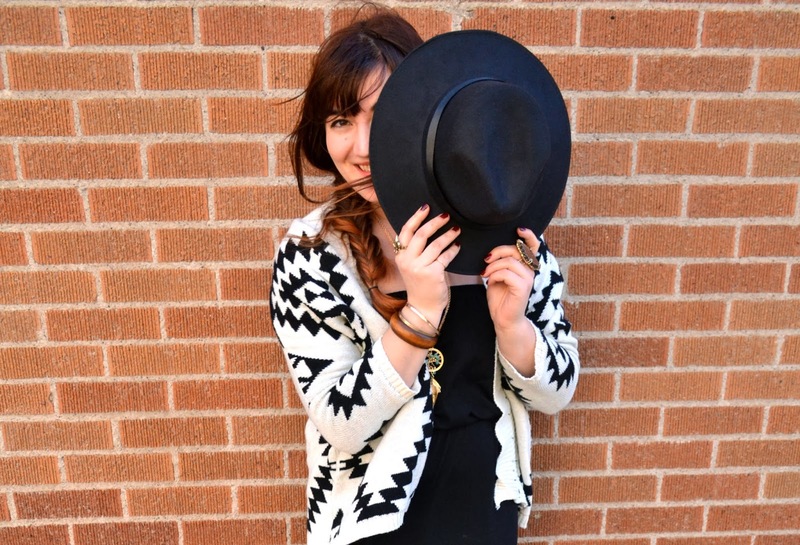 Loving that hat on you, and what a cute and cozy cardi! I love your maxi-- something tells me no one is going to stare at you like a bag-lady! As for make up, a lot of it is trial and error! I love Laura Mercier Kohl eye pencil in Black Gold and the Stila Sun Higlighter… these have been two of my go to items forever!!!! I love your Hat and Cardigan!!! That last photo of you is soo pretty! 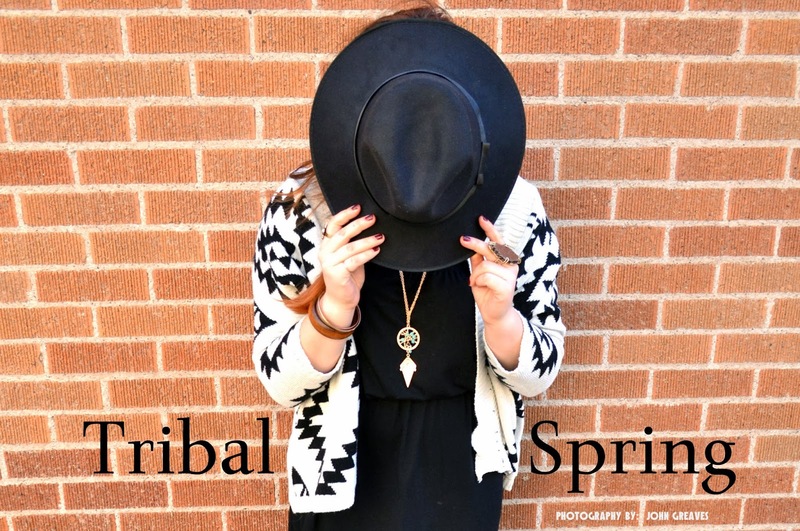 Love the new lipstick and braid combo and your tribal shrug is perfect! I just got one too and can't seem to take it off!